The ASABE (American Society of Agricultural and Biological Engineers) student branch at Auburn University is designed to promote the interest and involvement of undergraduate and graduate students (preprofessionals) in the ASABE. 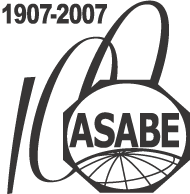 The goal of the ASABE is to encourage the advancement of agricultural, biological, food, environmental, and ecological engineering. Agricultural, Food, and Biological Engineers develop efficient, effective, and environmentally sensitive techniques and methods of producing food, fiber, timber, and renewable energy sources for a growing world population. Also, the ASABE is designed to allow students to gain friendships, career opportunities, and public relations. To be a member, one must submit twenty dollars annually to the ASABE. Within the ASABE student branch at Auburn, students will have the opportunity to hold an office for one year. Offices include President, Vice-President, Secretary-Treasurer, and Parliamentarian. Holding an office and being an active member allows a student to develop leadership skills which will be useful in their future career. The Auburn ASABE student branch meets monthly usually in the Tom E. Corley Building to discuss and plan upcoming events while participating in fun team development activities. This society is known internationally, and has many opportunities for students to get involved at Auburn University and with other engineers associated with Biosystems Engineering. During membership of the ASABE, students have an opportunity to be involved in several engineering competitions. Through these competitions, students develop skills such as design, teamwork, and use knowledge obtained through engineering courses. Joining the ASABE would be beneficial to a student while pursuing an undergraduate degree.